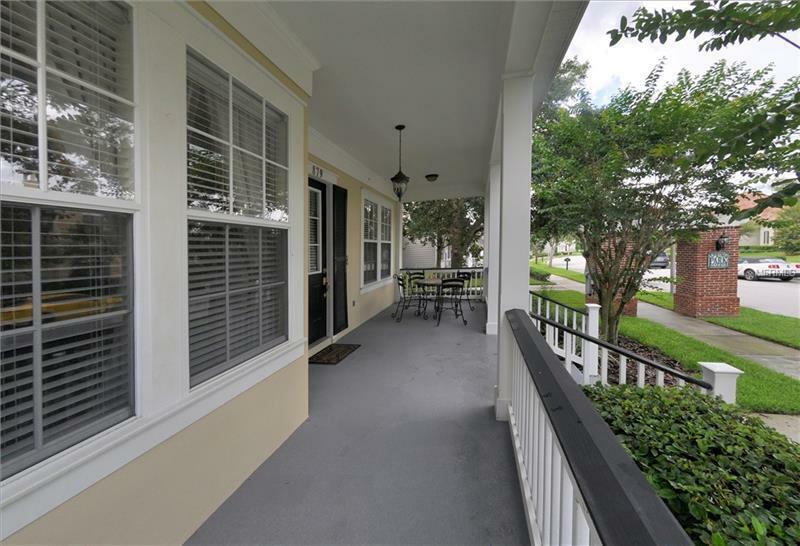 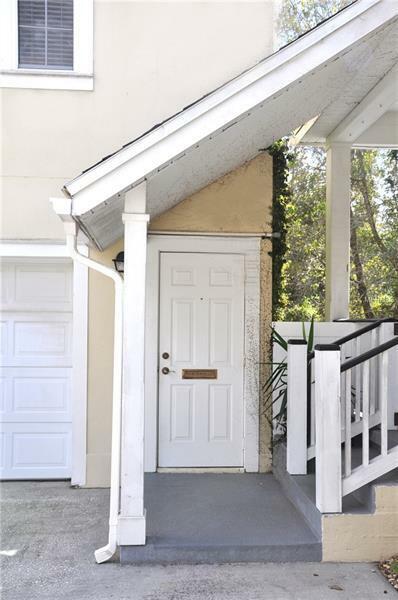 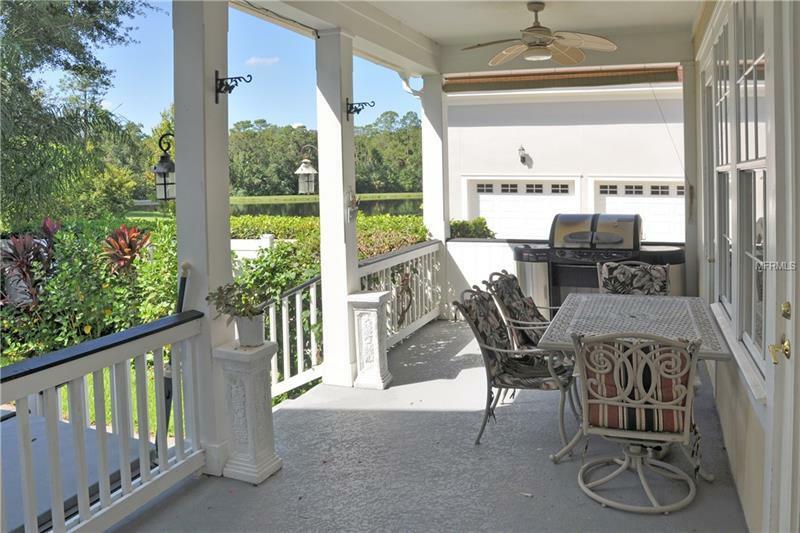 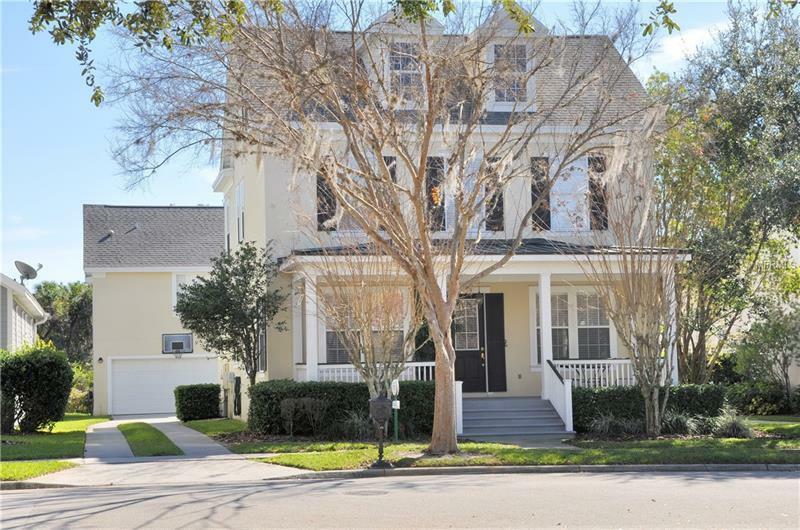 A Magnificent 4 bedroom, 3Â½ half bath home, with garage apartment in South Village, on a conservation lot, beautiful views overlooking a lake. 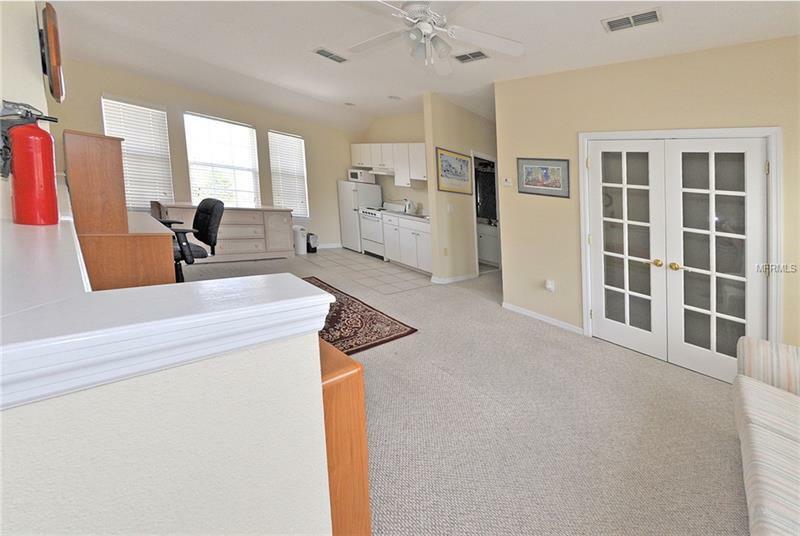 Catherine Coastal model built by Morrison Homes has wood floors throughout the downstairs area, Berber carpet elsewhere Central vacuum. 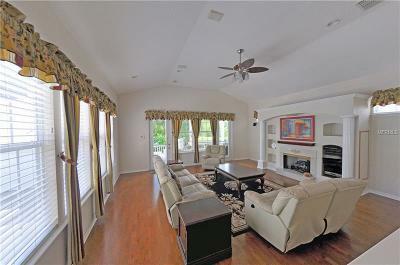 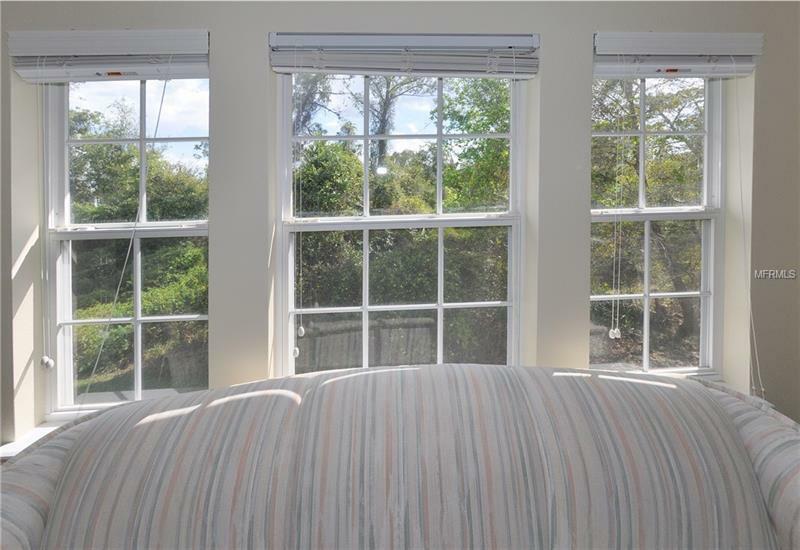 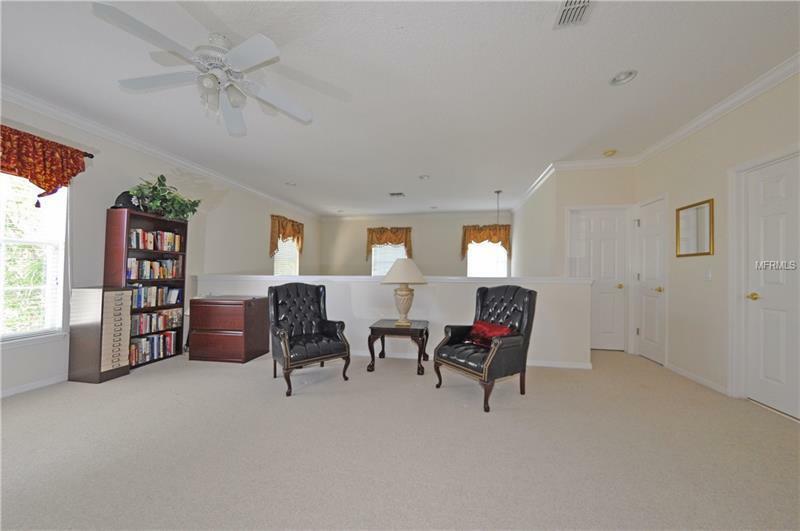 The 20' square family room has large windows overlooks a fenced garden the conservation woodlands and the large lake. 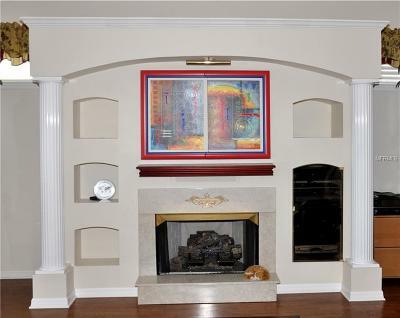 This room has feature gas fireplace and built in TV. 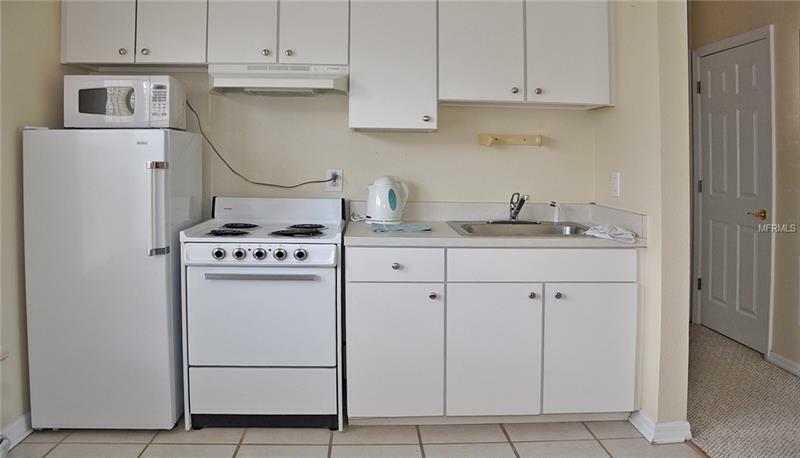 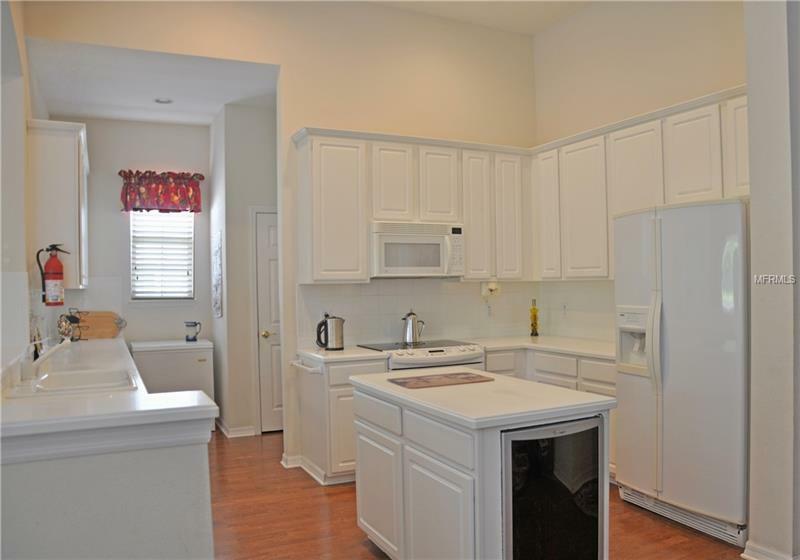 The modern kitchen has courian countertops, a center island with a wine fridge, laundry and pantry, adjoining the kitchen is the breakfast room and1/2 bath. Front of the house opens to the living room with large soaring ceiling reaching 25â. 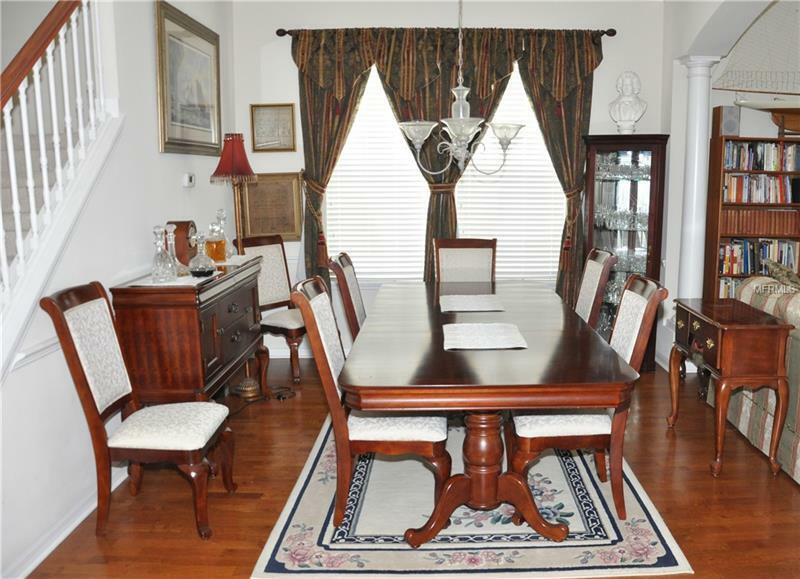 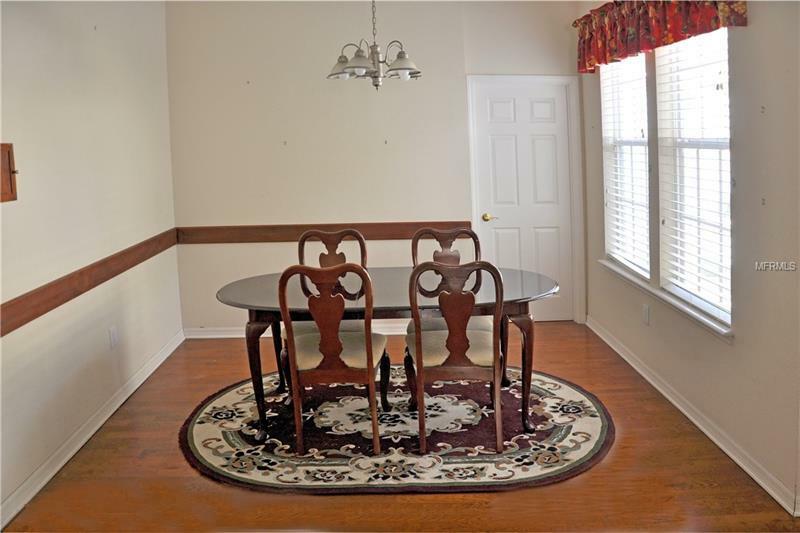 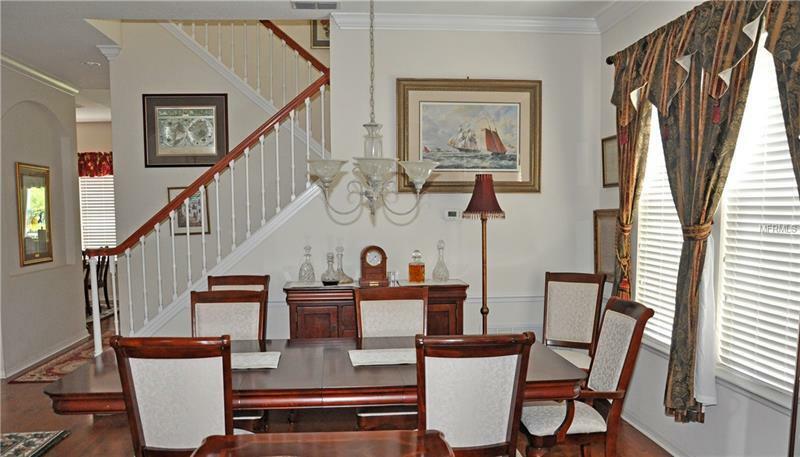 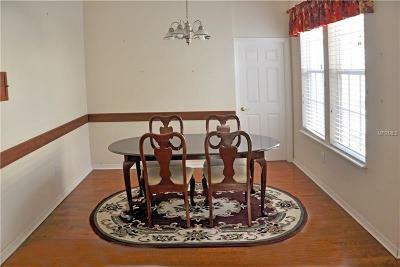 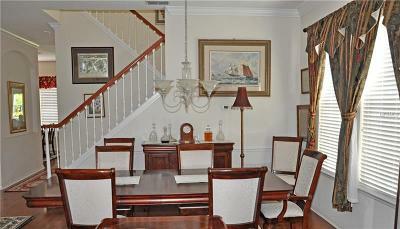 Dining room, is divided by columns from the living room. 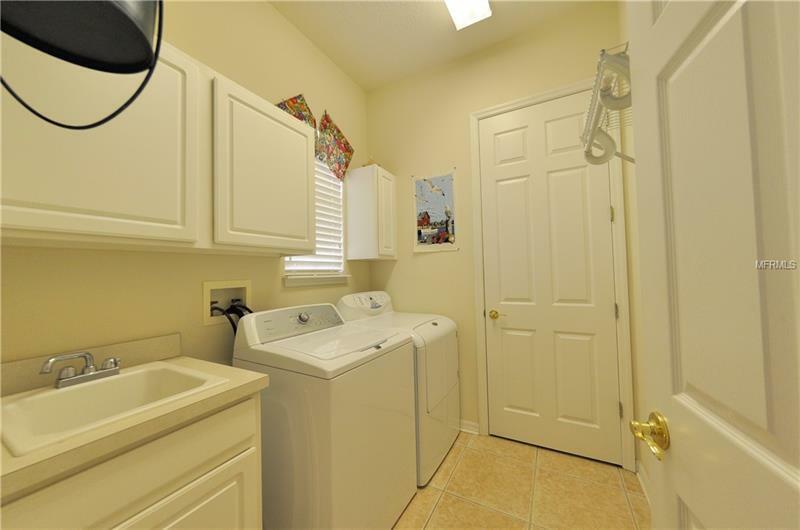 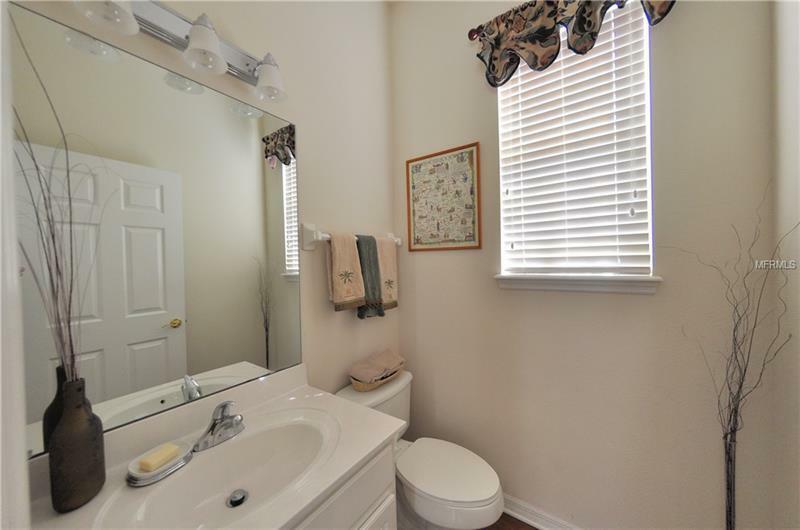 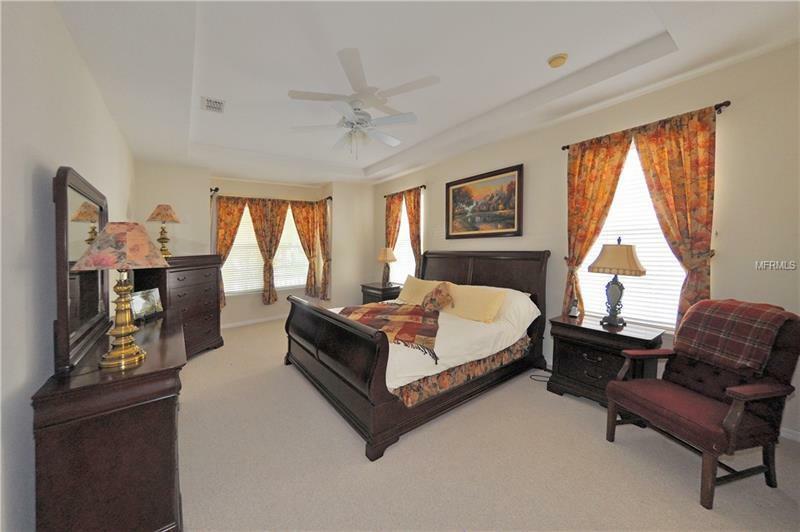 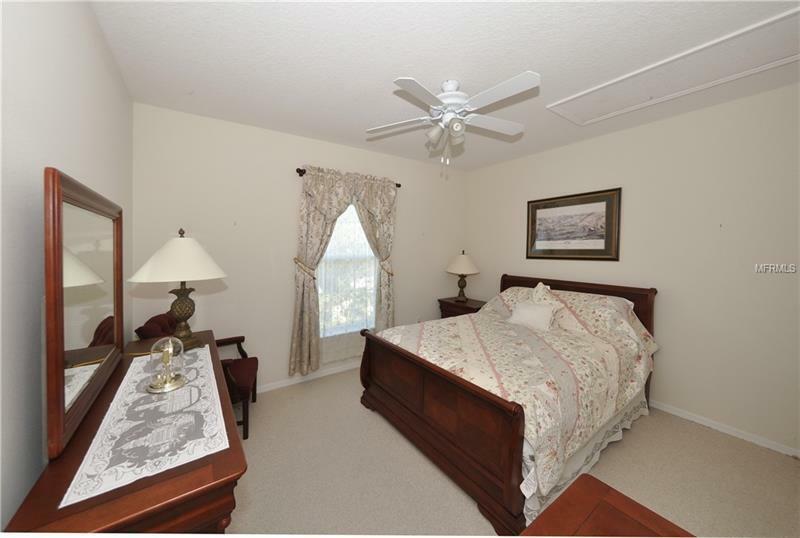 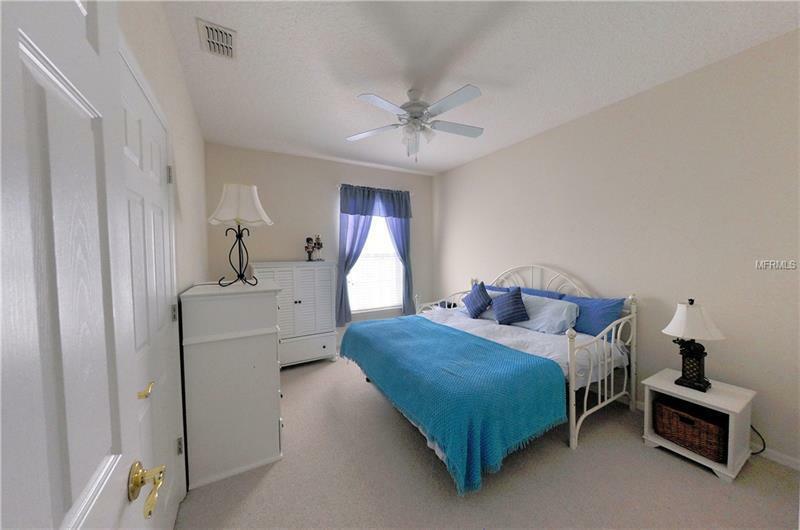 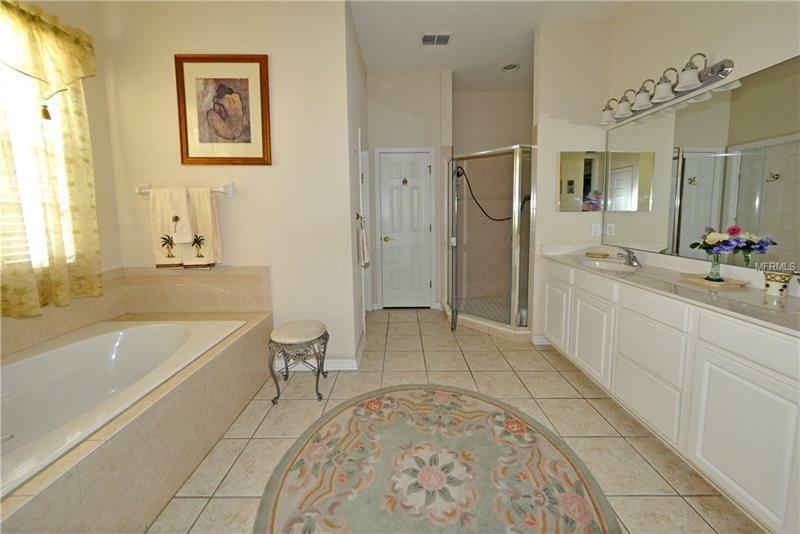 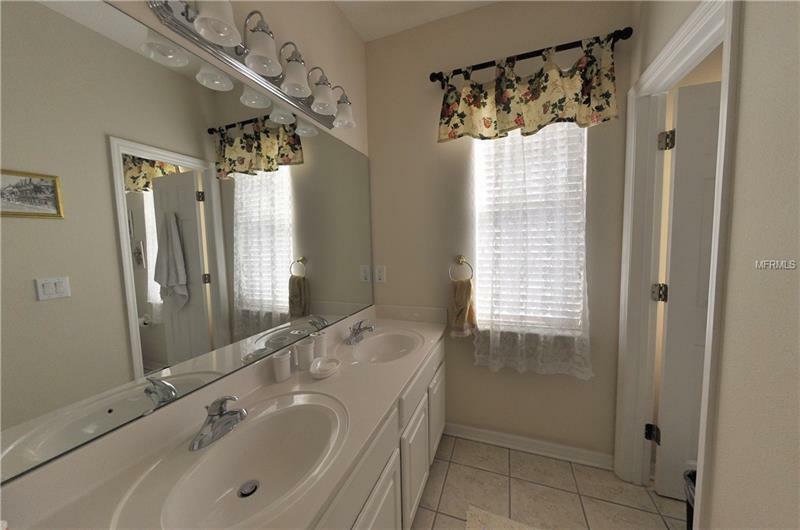 Downstairs master bedroom has large bathroom with roman tub dual sinks and separate shower, walk-in closet tiled floor. 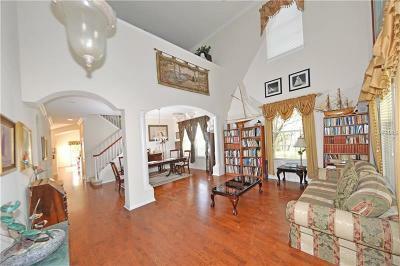 Downstairs is oak wood flooring, not laminate. Stairs leads to loft area, ideal for a large TV/ entertainment room. 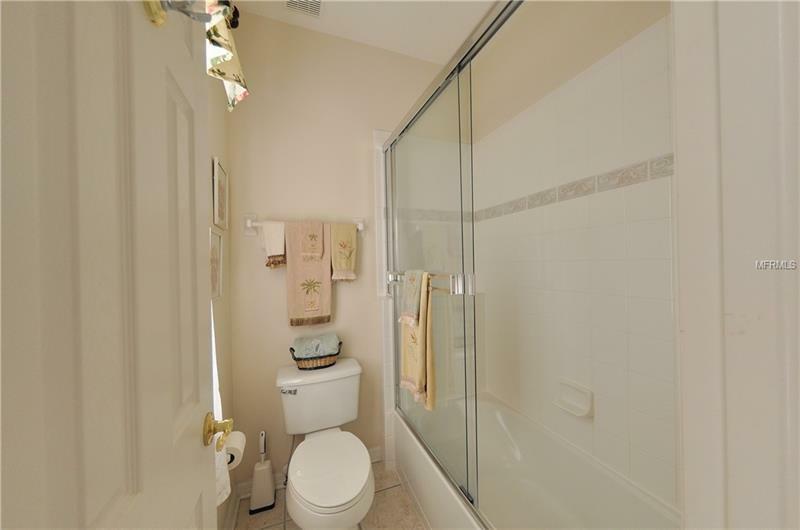 Two bedrooms and adjoining bathroom/shower. 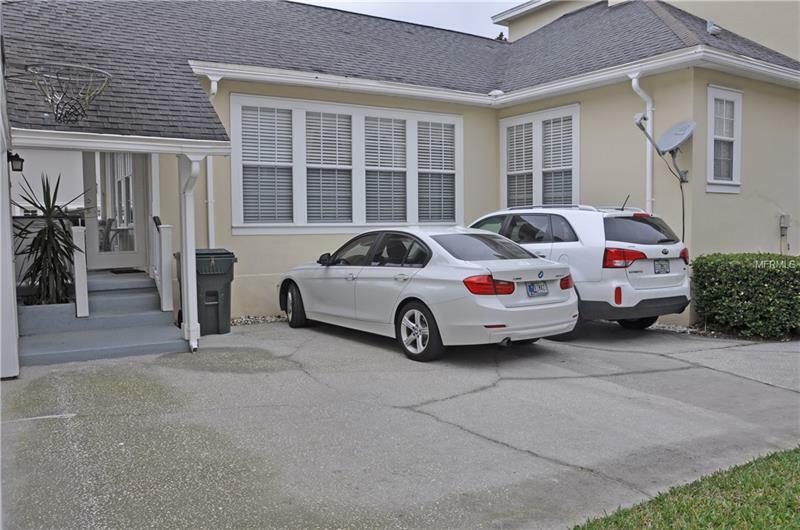 The double garage has self contained apartment above, with living area kitchen, full bathroom and small bedroom. 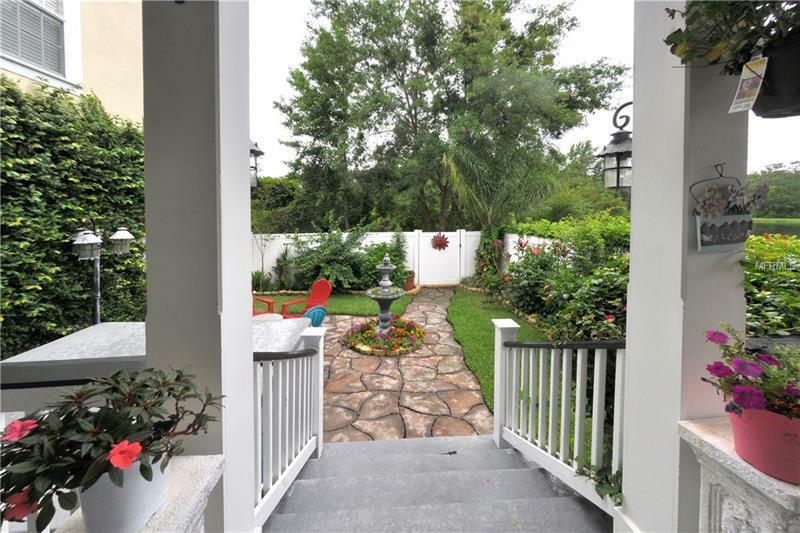 To the rear of the house is a patio with steps down to the fenced garden, landscaped in the Italian style with a fountain, patio and ivy covered wall. 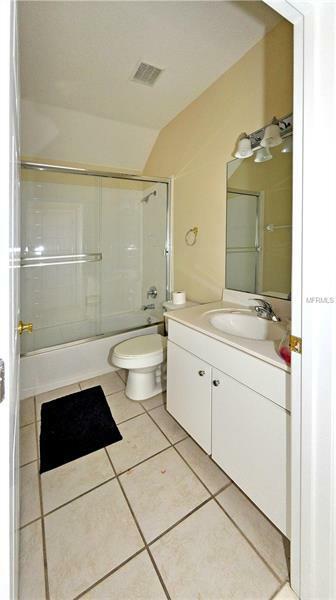 A 7â square, five person hot tub is accessed from the raised patio. 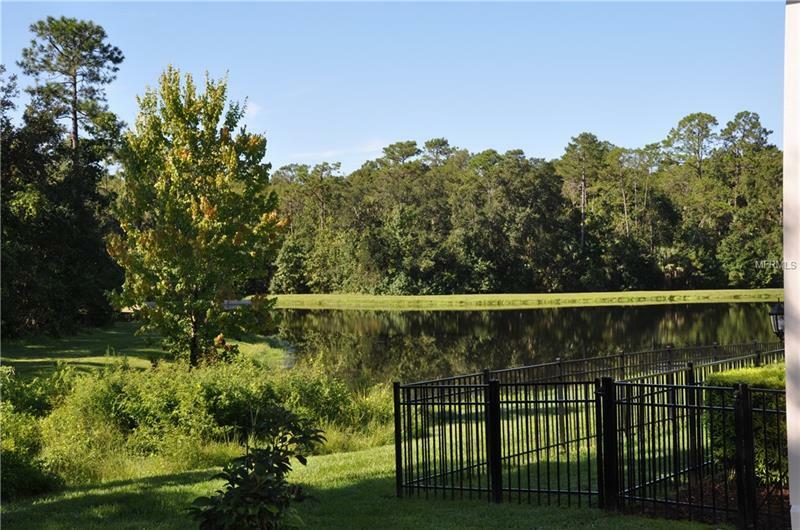 The patio overlooks a large natural lake and deer, geese, otters can frequently be seen. 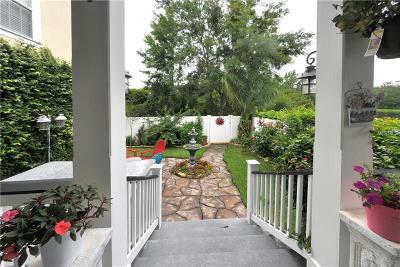 Property has a long driveway to the rear of the house.